Full video episodes, previews, and clips from WPSU original programs like the Our Town series, Conversations Live as well as your PBS favorites like AntiquesRoadshow, Frontline, Masterpiece, and Nature. PBS KIDS stream and on demand episodes such as Wild Kratts, ODD SQUAD, and Daniel Tiger’s Neighborhood. WPSU features such as Take Note, WPSU’s Bookmark, and interviews. WPSU local and NPR national news stories at your fingertips. On-demand programming including All Things Considered, Fresh Air, and Science Friday. Easily connect to WPSU’s Facebook, Twitter, Instagram and Flickr pages. 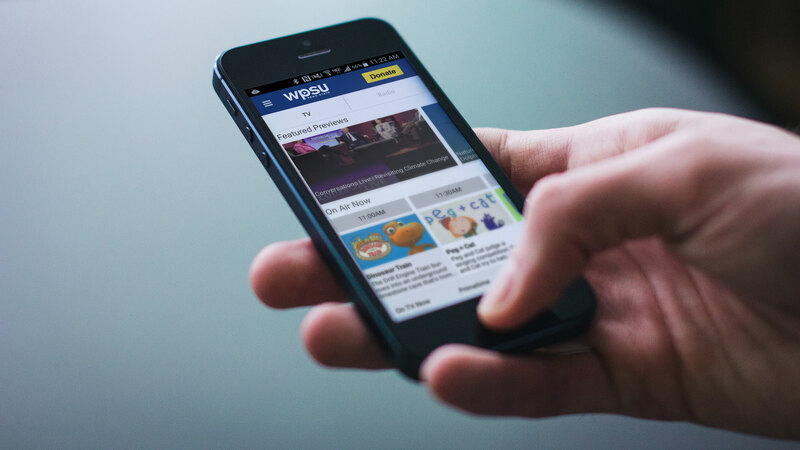 Instantly renew or give an additional donation to WPSU through your mobile device. Watch exclusive on-demand digital content. Looking for extended PBS content online? Learn more about our newest member benefit WPSU Passport.